Successful aquarists know the importance of monitoring the nitrogen cycle, and the lessons I learned while working for fish importers and sellers have served me well when caring for all manner of creatures. When I began my career in zoos, I was surprised to find that reptile and amphibian keepers, while aware of the necessity for clean water, did not generally pay attention to understanding water chemistry and its effects on animal health. That situation is much changed today, but professional and private herp keepers can still take some lessons from our aquarist friends. Awhile back, I helped establish an amphibian exhibit at the Maritime Aquarium in Norwalk, Ct. I was not surprised when the aquarists there, despite lacking prior amphibian experience, excelled at their care and breeding. Today we’ll look at how the nitrogen cycle functions and review some useful care techniques and products. How Critical is Reptile and Amphibian Water Quality? It’s important to understand that most amphibians, especially largely-aquatic species such as African Clawed Frogs and Mexican Axolotls, absorb water and dissolved chemicals over a much greater surface area than do fishes (scale-less fishes, such as eels, loaches and most catfishes, are similar to amphibians in this regard). In fact, when we administer fish medications to aquatic amphibians, we always begin with a 50% or so dose…the amount recommended for fishes might kill or injure amphibians. It follows that amphibians are often more sensitive to ammonia and other water-borne toxins than are fishes. My experience bears out the fact that ammonia poisoning is responsible for a great many sudden, unexplained amphibian pet deaths. Reptiles are less susceptible to water quality problems than are amphibians, but certain species, such Tentacled Snakes and Soft-shelled and Fly River Turtles, seem sensitive to ammonia and pH levels. The nitrogen cycle can be summarized as the process by which nitrogen is converted to other organic compounds that are then utilized by plants and animals as food. Nitrogen enters the water via dead animals and plants, decaying food, and animal feces and urates. In herp enclosures, animal wastes are usually the primary sources of nitrogen. Ammonia, the most toxic of the nitrogen-based compounds, may be ionized or un-ionized; it is most dangerous to aquatic animals in its un-ionized form. More of the water’s total ammonia becomes un-ionized as the temperature and pH increases. Two types of aerobic (air-breathing) bacteria, which live on gravel, filter pads and other substrates exposed to oxygenated water, control the nitrogen cycle. Collectively, they are termed nitrogenous bacteria. Nitrosomas bacteria convert ammonia to less-toxic compounds known as nitrites. Nitrobacter bacteria convert the nitrites to nitrates. Nitrates, the end product of the nitrogen cycle, are the least toxic of the nitrogenous compounds. Aquarists use the term “conditioning period” to describe the time that it takes for healthy populations of both types of nitrogenous bacteria to become established in a new tank. This period varies in length, but usually falls in the range of 2-6 weeks. Your aquarium’s conditioning period may be shortened by the addition of commercially-available live aerobic bacteria. I’ve had good experience with Biozyme Freshwater Bacteria and Nutrafin Cycle. Micro Lift Bacterial Water Balancer, specifically formulated for turtles, should also be considered. You can also help the process along by introducing filter material from a well-conditioned tank and, where conditions permit, by using “live rock” and “live sand” (please post below for further info). 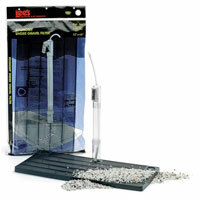 The frequent use of water quality test kits is essential. The pH level should be checked often as well, since the water may become acidic during the conditioning period. Although some of my younger readers will no doubt consider me a dinosaur for saying so, I still use and recommend undergravel filters in many situations. They are simple to maintain, largely invisible to the eye, and essentially turn the entire substrate into a giant biological filter. Where useful, power heads can be added to increase water follow though the gravel bed or to create a reverse-flow system (please see the article linked below). Many public aquariums still maintain huge exhibits with undergravel filters alone. At various zoos and in my own collection, I have used undergravel filters on large exhibits housing Tentacled Snakes, Northern Water Snakes, adult Snake-Necked Turtles, Largemouth Bass, and other creatures that are very hard on water quality and clarity. I also favor fluidized bed filters, which are mounted outside the aquarium. They rely upon the same principles as do undergravel filters, and are especially useful where substrate is not used in the enclosure. Hello, Frank. I’ve been reading your blog, and it is very informative and useful! Thanks. I also have a question. I would like to get a lizard (or multiple) but many of the common species (leopard geckos, bearded dragons, green anoles) are not appealing to me. I researched some other species, and found two I really liked: The Mali Uromastyx (as well as uromastyx in general) and the Neon Blue Gliding Lizard (Holapsis guentheri). I can only get one tank, so I was thinking about one uro in the 18″x18″x18″ Exo Terra Desert Starter Kit, and two or three gliding lizards in the 18″x18″x24″ Exo Terra Rainforest Starter Kit. Are those good(ish) beginner species? Which one do you recommend? Can I house the lizards like that? Is there any specific care information I will need for either species? What else will I need, and how much will the setups cost (total)? Any advice is appreciated! Thanks for the information; guess Uromastyx are out of my league for now. What article on the gliding lizards are you referring to? I’d love to know some more care info, if it’s not a problem. Thanks for the quick reply. Please write is as often as you wish,…I enjoy the correspondence, and other readers will benefit from your questions and observations as well. The care info there is basically sound. However, avoid mealworms, use waxworms only rarely and provide more variety. 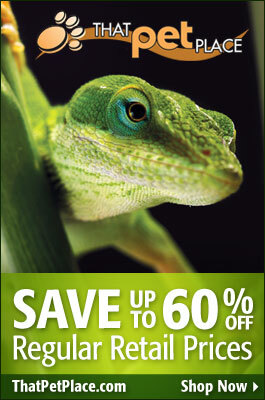 Please see the anole article re diet, and let me know if you need further info. I would not recommend letting temps go below the low 70’s by night, even though they can tolerate a bit lower. Thanks. I really appreciate that. I also would like to know your opinion on Phoenix worms, also known as reptiworms. According to the internet, they have a great calcium:phosphorus ratio. Are they a good staple? I have a spotted salamander, Ambystoma maculatum. Are they suitable for him? My pleasure. Phoenix Worms (black soldier fly larvae ) are an excellent food source. Their Calcium:Phosphorus ratio is approximately 1.5:1 – very close the 2:1 ration that is generally accepted as ideal for most reptiles and amphibians. 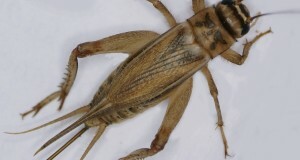 Also, the actual calcium content of Soldier Fly Larvae is high – up to 8,155ppm as opposed to 20-135ppm in mealworms and crickets. I’ve not used them as a staple, but certainly fine as a major part of the diet. I use earthworms as a staple for terrestrial salamanders, supplemented by phoenix and butter worms, sow bugs, small crickets and wild-caught beetle grubs, slugs, etc. 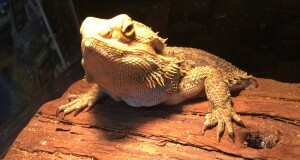 I have been searching for the Proper Water Quality Levels for Reptiles, but I cant find any info regarding this… I am specifically looking for information about the Water Quality for Chinese Water Dragons… I am in the process of building a large 6×6 enclosure for my Water Dragon, which will have a filtered 40gal Pool for her… But what are the safe Ammonia, Nitrate, Nitrite, and PH levels…?? ?